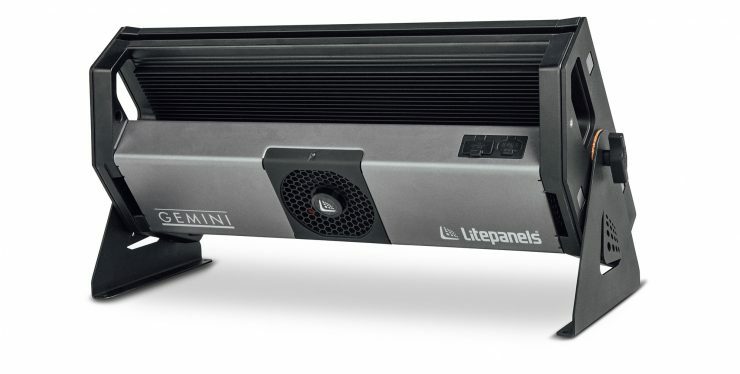 Litepanels has announced three new accessories for the Gemini 2×1 LED panel. The new accessories include a dual battery bracket for either Gold Mount or V-Mount, a floor stand kit, and a soft-sided carry case. The Gemini dual battery bracket is available in either a Gold Mount or V-Mount version, each supporting two batteries in sizes ranging from 90 to 190 watt-hours. The new bracket has been specifically designed to regulate power output to ensure maximum battery life and maintain peak performance for the Gemini 2×1, and it includes a connecting cable. The dual battery bracket is currently available at an MSRP of $420, £300, €375, and 48,000 yen. The new floor stand kit for Gemini 2×1 lets you place the light on the floor, while still having control of the positioning of the light. The stand is a low-profile, convenient, and sturdy way to position and/or mount the Gemini on the floor or to any other flat surface. 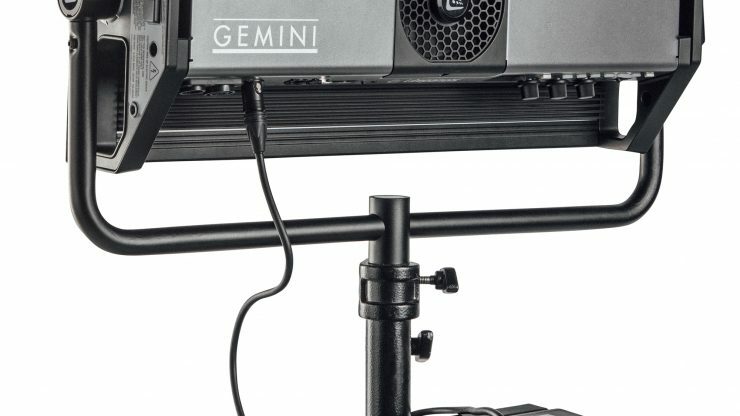 The floor mounting kit includes all hardware necessary to connect the Gemini 2×1 Soft panel to the supports. It is currently available at an MSRP of $450, £330, €400, and 51,000 yen. Litepanels is now offering a soft-sided, lightweight carry case for easy transport and storage of a single Gemini 2×1 Soft panel. The new carry case includes a durable zippered closure, an accessory bag, and a shoulder strap. 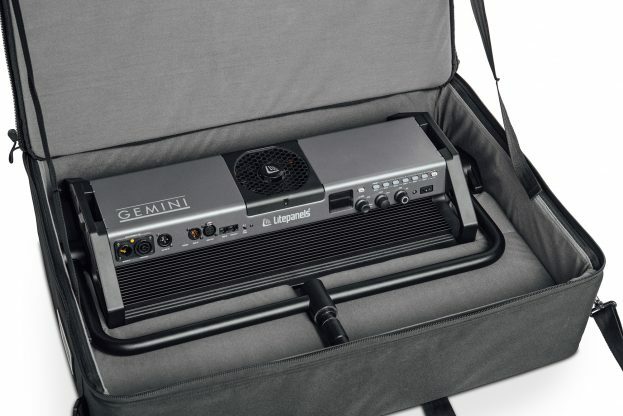 The soft-sided carry case is available for $365, £270, €325, and 42,000 yen. If you want to learn more about the Litepanels Gemini 2×1, take a look at our review.